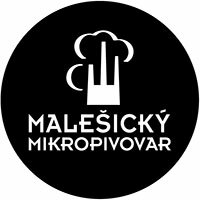 The Malesický Microbrewery is not exactly located in the center of Prague, but it’s just a stone's throw away. Thanks to the perfect beer, classic Czech cuisine, and friendly family atmosphere, it’s one of the best. Here in this modern restaurant, you’ll find yourself back in the days when friends and family still gathered around beer and food and treasured time together. On tap, in addition to the carefully brewed Malešický Originals, you’ll also find interesting specialties from Czech and foreign breweries. You can taste the Czech classics, specialties prepared with beer, and a variety of homemade delicacies and fresh specialties from our own smokehouse. In the summer, enjoy the seating in our cozy garden. You’ll be hard pressed to find a similar place in Prague. Malesický original N° 2 Light lager 12° is a pilsner-type traditional bottom fermented lager, brewed year-round according to the original recipe of the Malešický Microbrewery. The seasonal selection includes top fermented beer specials, such as the popular light aromatic Malesický Original N° 1 Pale Ale 11°, the Malešický extra bitter Ale 82 IPA 14° for lovers of strong bitter beers, or the Friday 13° Stout, an oatmeal stout always brewed on Friday the thirteenth. Orginal beers, according to own recipes and boiled especially for the Malešický Microbrewery, are served on any of the ten taps of the Malešický Microbrewery. Of course, the selection also includes the best Czech breweries in the region as well as private foreign brands on tap or in bottles in the beer bar. A rich year-round program of events is prepared in the restaurant or at the Malešická Šalanda, including beer tasting evenings, traveler screenings, or author evenings featuring interesting personalities. We regularly hold special events such as the Masopust pork feast, recalling our true domestic gastronomic culture.